Small and medium-sized enterprises, start-ups and large corporations alike are getting onboard the third party payroll outsourcing bandwagon. This is because of the proven benefits of employing an expert payroll outsourcing service which allows your company to be more economical. Moreover, this time-consuming non-core function can be eliminated from your company’s list of things to do. However, if you do not choose your payroll service provider wisely, it can cause more damage than good. Good research and planning are essential before engaging a third party to handle your payroll requirements. There are some boxes that you definitely need to tick off prior to outsourcing payroll. The first thing you have to clarify with your payroll agency is their pricing and the services that you can avail at that particular cost. Make sure to explore whether there are any hidden costs involved. 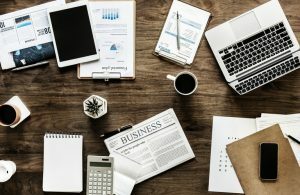 As an SME or start-up, you need to compute what your payroll management budget is and whether this particular provider is able to fulfil your needs for the price you want. 2. What is the Process behind Your Payroll Management? The third party payroll consultants that you intend to engage should have a fool-proof fixed process in place. At the same time, they should be flexible enough to accommodate your company’s changing requirements in the future. There should be transparency with respect to the strategies that they will employ and turnaround time. They should also be willing to work on your schedule without you having to comply with theirs. If not, you would end up with you paying your employees late every month. The most significant aspect is for you, as a business owner, to dig deep and find out how accurate and consistent their existing system is before you agree to be their client. The payroll agency should be able to demonstrate knowledge and confidence in their work. If possible, they should put you in touch with existing customers who are willing to vouch for their work as a trusted third party payroll outsourcing service. 3. What is the Extent of Automation for your Third Party Payroll Outsourcing Service? 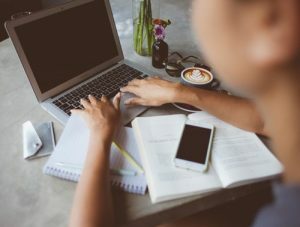 It is crucial to gain an understanding of the type of technology that your payroll agency uses, the type of features that it has and what it can achieve. Outdated software will double the workload and can be difficult to personalize as per your company’s requirements. The key features to look for are functionality and scalability. It should be possible for you to seamlessly integrate the software with your current system and change it as per the growing needs of your company. Choose third-party payroll companies with advanced user-friendly systems that are cloud-based. An online self-service portal with dedicated servers and perhaps an easy mobile app for employees would be extremely beneficial. 4. What are Your Protocols for Maintaining Data Security? One of the major concerns that organisations have when determining whether to outsource payroll is regarding the safety of using an external channel. Security is vital when dealing with sensitive data and your payroll outsourcing service provider should have superior security features. Daily back-ups and redundancy mechanisms are a must. Two-factor authentication and guarded physical servers are a definite bonus. 5. What Add-on Services do You Offer? Instead of focusing on just payroll processing, there are certain providers that have a more holistic approach to employee management. Your company may be able to avail income tax returns filing, temp staffing, statutory compliance, leave management and a host of other services from the same provider. Find out what is included, what is not and how much extra you need to pay if you decide to utilize them. Third party payroll benefits outweigh the disadvantages by a mile. Studies show that outsourcing payroll cuts company costs by 18% compared to in-house payroll processing. Moreover, you can rest easy and leave the hard work to the experts while you concentrate on the core functions of your business. However, since you are looking for a long-term reliable solution for your payroll needs, it is important that you do your research properly and invest your time and money in an efficient service provider.